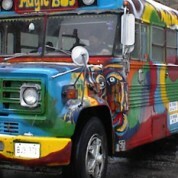 June 22 Secrett Mystery Bus Tour! Tickets are $46 each – Please purchase by March 30. Coach is equipped with onboard washroom. You do not need to print your PayPal tickets. Full trip details with exception of the mystery destination will be emailed soon. Approximate departure time is 8:30am and return time is approximately 8:30pm.